You ready for something different for the students? Something that is age-appropriate, high energy and WAY above average interactive audience participation than most others? 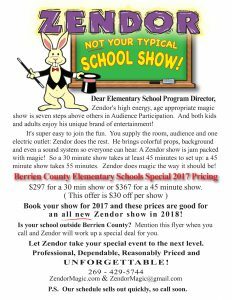 This is NOT your typical School show! To assure clarity of the size of this show, it takes at least 45 minutes to set up the 30 minute show and 55 minutes to set op the 45 minute show. You can see, this is not your ‘get in and get out’ type of show. Nor is it a few ‘out of your pockets’ tricks and then leave. 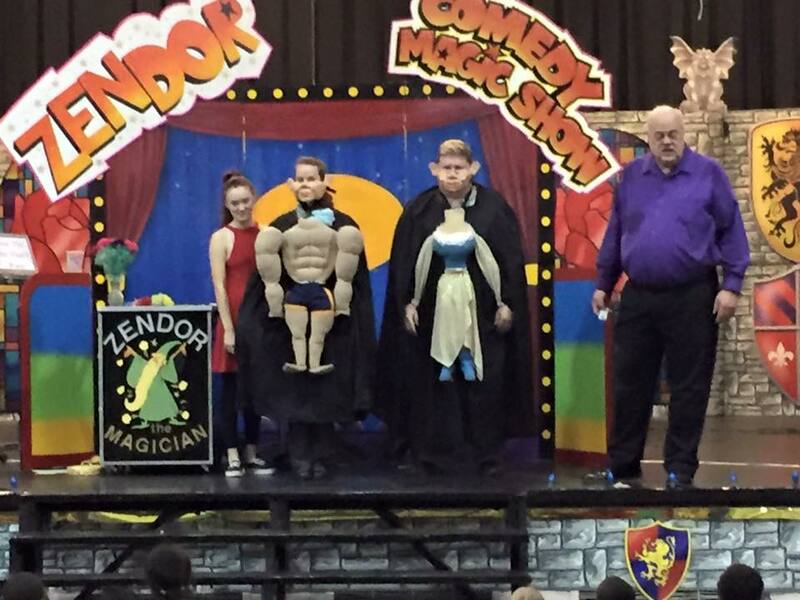 It is a full magic show that ENTERTAINS your attendees! This is the way it should be! This is what you been waiting for! $367 for a 45 minute show. This is $30 off regular pricing! But wait – for 2017 there is more: If you book for 2017 I will hold these prices for 2018 if you ever want another show! 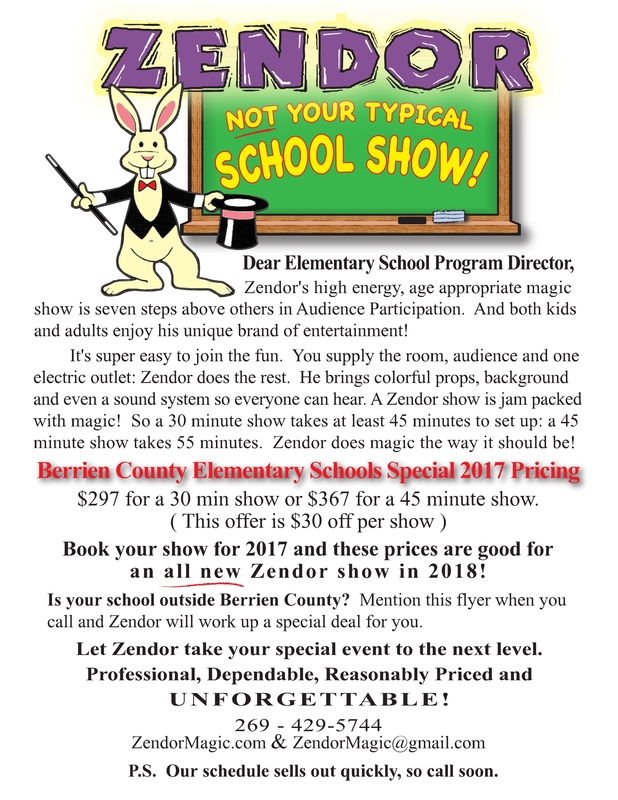 For Schools outside of Berrien County – please give us a call and we will work up a special deal for you! Our schedule sells out quickly – Call Early!